Feature: Our natural sponges are used for a variety of cosmetic and skin care applications. Easy to cleanse and maintain for long life and a multitude of activities elevate this sponge in value. Allowing for natural quality variation, we offer sponges which we have processed to stem the abrasive characteristics of natural sponges. Abrasives formed during sponge growth are the goal to be eliminated during processing. The Danielle history of sponge processing over the last three plus decades offers the finest cosmetic and skin care sponges available. 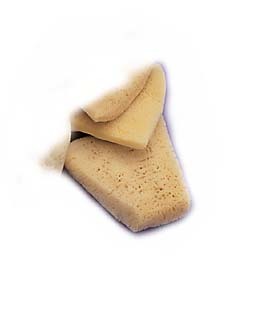 Our Flat sponges are unequaled Usage: We process natural sponges for cosmetics, skin and all body needs. Our natural sponges are superior because they last longer and provide a smoother application. Incidence of shell, stone, root, grasses and other impurities are virtually eliminated resulting in a more desired sponge. Danielle is a desired entity.